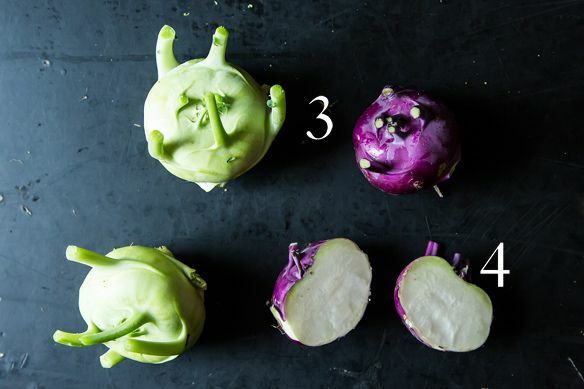 We might as well just say it: kohlrabi is a little weird. The name literally means "cabbage turnip" in German (makes sense, right? ), and they're as common as cabbages and turnips themselves in Eastern Europe, where they've been around for centuries. Stateside, though, they're a little more unusual -- "you'd think it had just landed on earth," Elizabeth Schneider says in Uncommon Fruits & Vegetables: A Commonsense Guide -- so farmers' markets and CSA boxes are your best bet for the hardy, prolific stems. 1. Unidentified Floating Vegetable: Here's a fact that practically makes kohlrabi cooler than lantern-first tomatillos: that round bit so reminiscent of a root vegetable grows above the ground, like a little spaceship floating on the soil. That's right -- kohlrabi are the bulbous, overgrown stem of the plant, not the root. Developed centuries ago by hybridization and selective breeding, kohlrabi's distinctive shape -- not to mention its weather-resistance and abundant harvest -- is a human invention. 2. 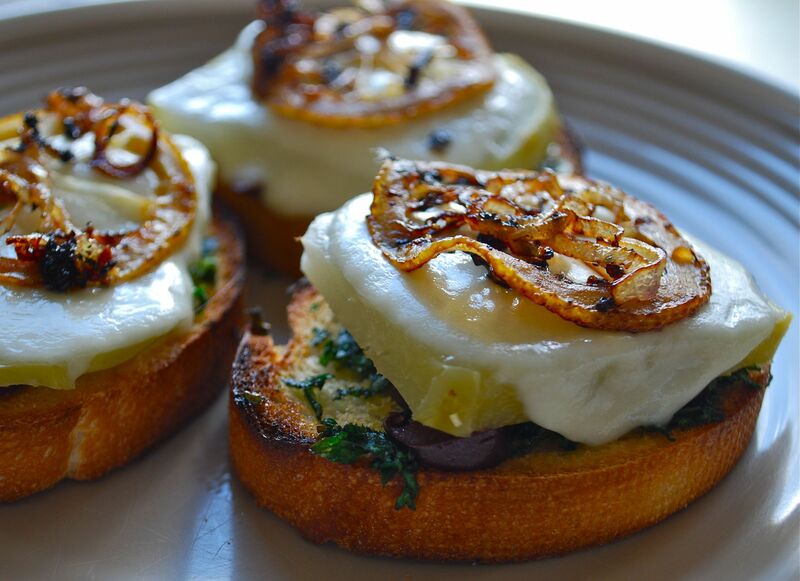 Leafy Greens: The leaves and smaller stems of kohlrabi are totally edible! Their texture and taste are similar to kale and collards -- use them as you would any other dark leafy green. 3. Tough Love: Because kohlrabi grow above the soil, their outer skin can get tough from braving the elements. Trim the tough bottom root, and cut away the skin as you would for celeriac. 4. Soft Underbelly: Regardless of color, the inside of kohlrabi is always pale -- the texture is similar to that of a cabbage core. Uncooked it has a radish-y crunch that soaks up dressing (and flavor) like a pro, making it a great candidate for sturdy picnic salads and remoulades. But you can also treat it like a root vegetable: sauté it, roast kohlrabi "fries," or add it to your mashed potatoes. 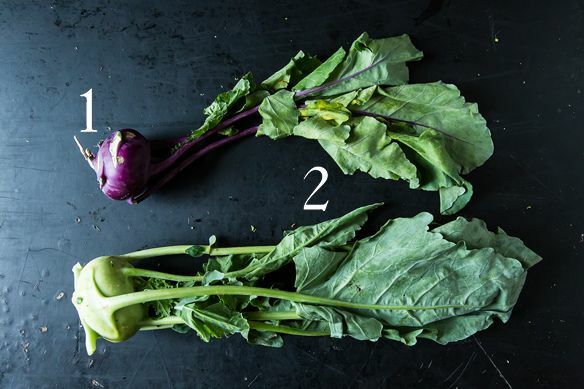 No one ever put kohlrabi on their top-five list of favorite vegetables, but toss a stem or two in your bag next time you visit the farmers' market. Whether you make a traditional Hungarian kohlrabi soup, braise it in stock like they do in Austria, or just roast it for a variation on your typical winter fare, it's always fun to try something new. My family once spent an entire Thanksgiving referring to this vegetable as "Cool Robbie." I love these sliced with lemon juice and salt. Oh finally! 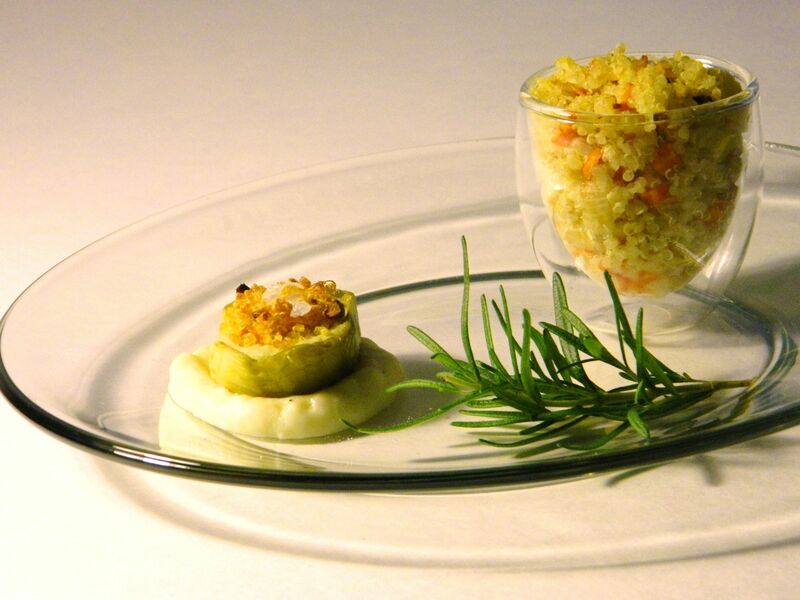 Living in Germany I was wondering why there are so few kohlrabi-recipes here. This article sheds some light, thanks! Here you can get it everywhere, all year round. I love to eat it raw as veggie sticks, or cooked together with the greens in a creamy milk-sauce. Yum! 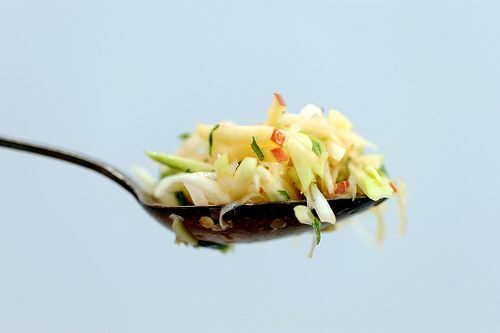 I love to mandoline these puppies, and then julienne them for a slaw. Lovely article!